Decorating an empty space is not always as easy or as fun as people may think. I have been in my apartment for nine months and I am still nowhere nearly done adding the necessary bits to my space in order for it to feel complete. I am a minimalist, by nature, but even that takes being creative with how you utilise your space, in order for it to look like it is filled with furniture but still spacious. So, to start off my home decor series I want to share with you a few of my home accessories in my minimal bedroom. 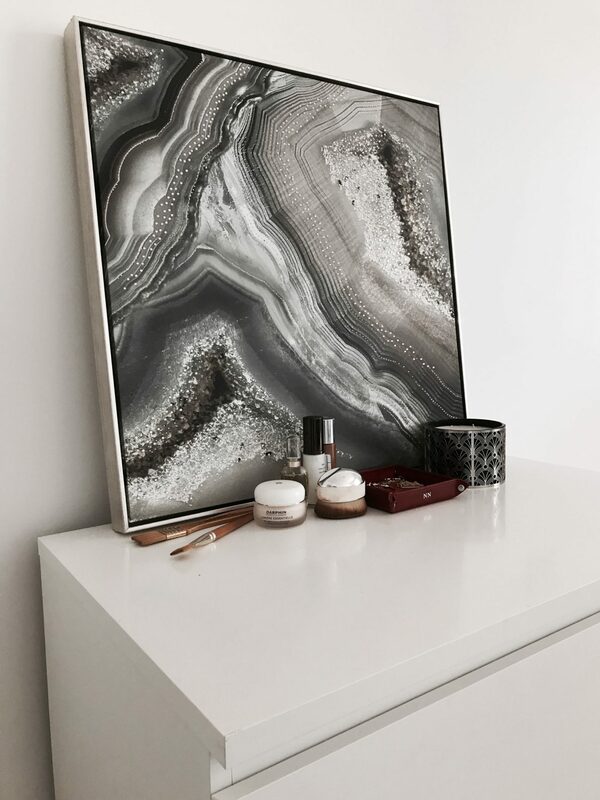 I only have the bare necessities such a big candle, a framed canvas which looks like marble and a jewellery box. I happen to have two paint brushes from a class I took last year, which have become a part of the decor. The rest is my jewellery and makeup. Let’s leave it at that for now. We shall explore the rest of the bedroom another time.